A dragon book! My favorite thing. Dianne Astle’s Ben the Dragonborn is available for just $2.99 right now. Check it out! What can a fourteen year old boy do to stop a war between humans and merfolk? Ben is about to find out, for the Guardian of the Six Worlds has chosen him to go through a portals to a watery world of merfolk and monsters. Everyone, including Ben, thinks a huge mistake has been made. Ben’s afraid of water and he can’t swim. There appears to be nothing to recommend Ben as the best choice on five worlds . But the Guardian knows something about Ben that no one else does: Ben is Dragonborn. Ben must discover the secret of his own true self. Dianne was once asked what kind of animal she would be, if she could be an animal. The person who asked the question was shocked when Dianne said she’d like to be a dragon. There are times in everyone’s life when being able to fly high and breathe fire sound very appealing. However, if you can’t be a dragon, or have a dragon as a pet, then the next best thing is to write books with dragons in them and get a dog. Dianne lives in the Pacific Northwest with her husband Doug, his three cats and her beloved dog Thomas. Thomas gets Dianne out walking almost every day, which is the next best thing to flying on dragon wing. Dianne rescued Thomas, but he is rescuing her one walk at a time. 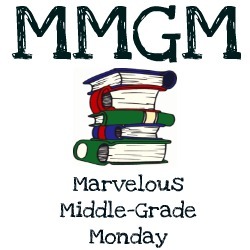 Check out all the Marvelous Middle-Grade Monday posts! Previous Article The Dragon’s Cave has been Selected for Publication! Dragons are such appealing creatures (in stories) and it’s fun to read books about them. Thanks for the review! They are!! Thanks for stopping by!